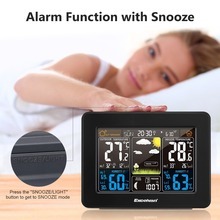 This is a product with great look and shows all the necessary information on the colorful LED screen such as time, date, week, temperature, humidity, pressure, etc. 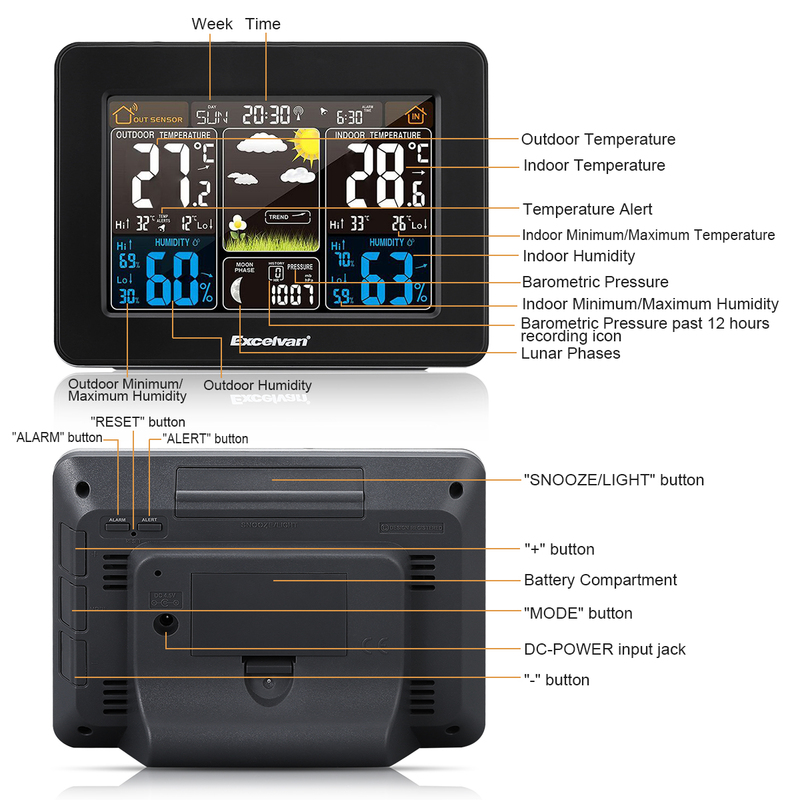 These useful information will help you prepare for bad weathers in time. 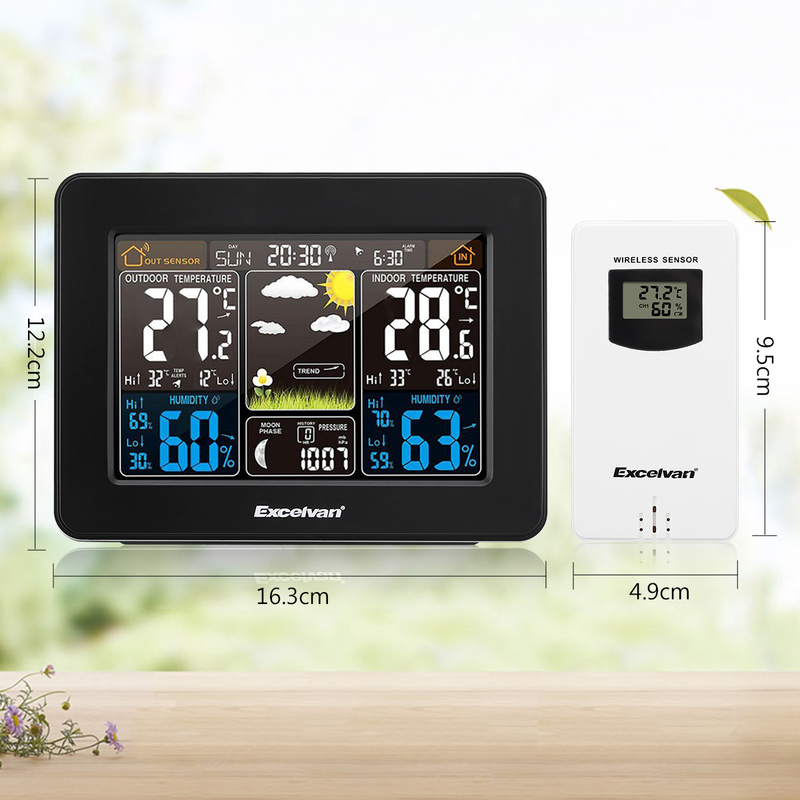 It is perfect for indoor and outdoor use, such a humanized designed weather station, why don’t we have one now? 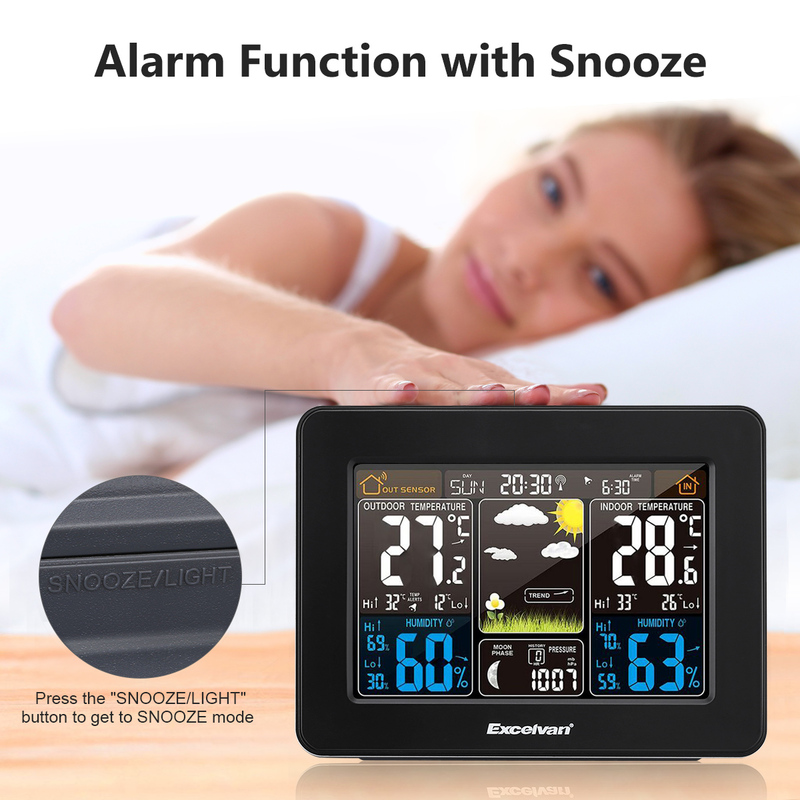 ”Snooze”Alarm Function : Snooze alarm function, it can also be used as an alarm clock (snooze option). 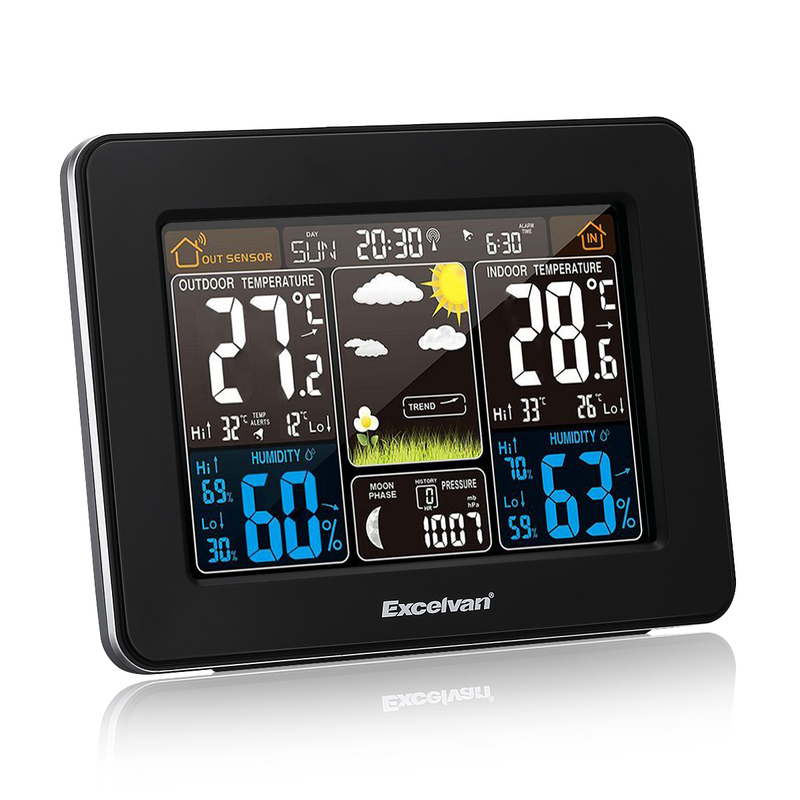 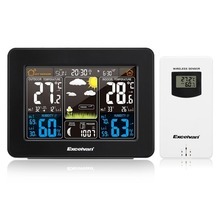 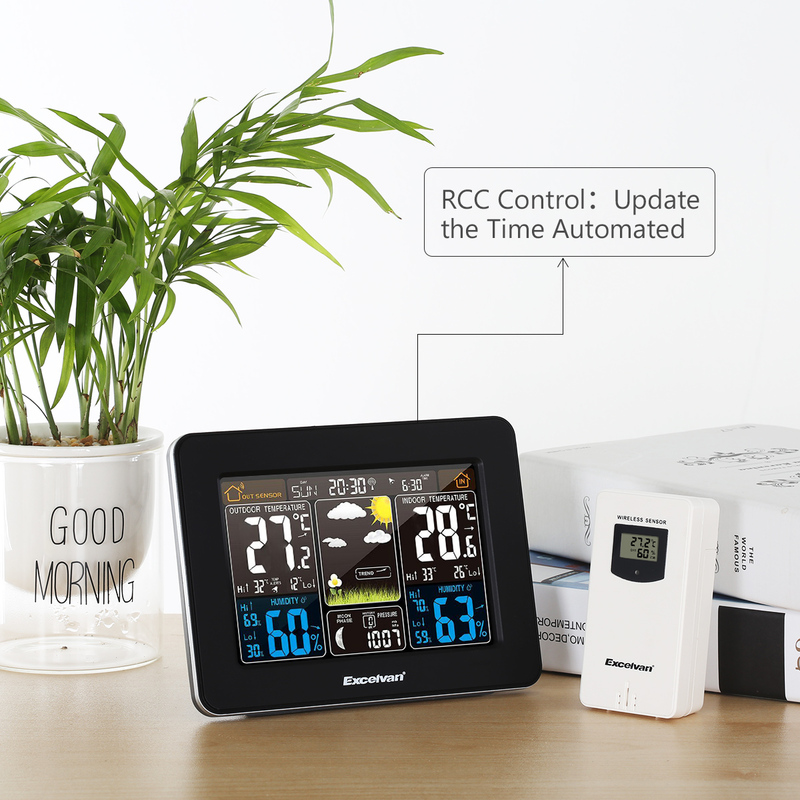 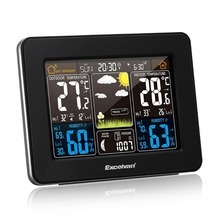 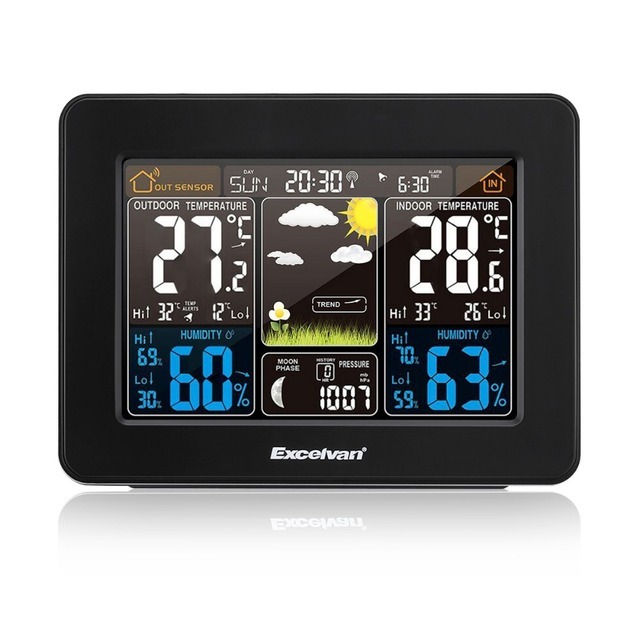 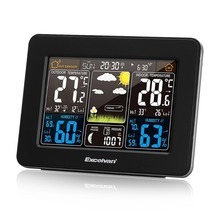 Indoors or Outdoors Use : The weather station includes a main driver adapter and one remote sensor (requires 2 x AA batteries, not included) that can be used indoors or outdoors. 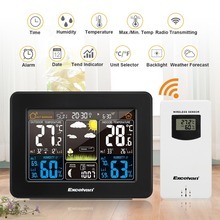 Weather Forecast: Weather forecast for air pressure trend indicator, there is a test pressure module inside the product, it can be more accurate to predict the weather through air pressure. 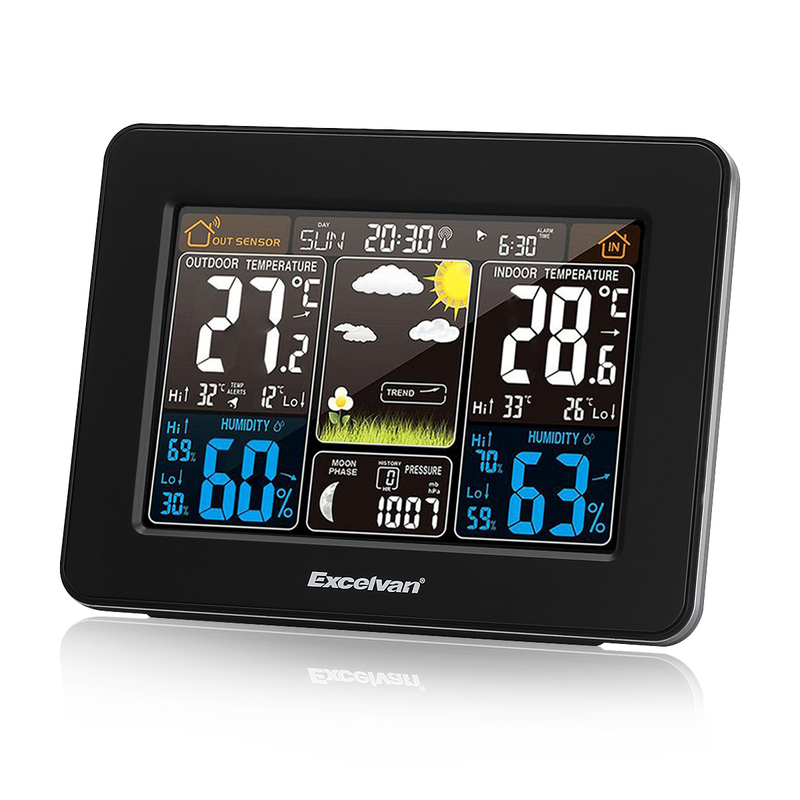 Temperature and Frost Alert: If the frost alarm alert is activated, the corresponding symbol appears next to the outdoor temperature, the alarm signal sounds at -1 °C to +3 °C or +30°F to +37°F. 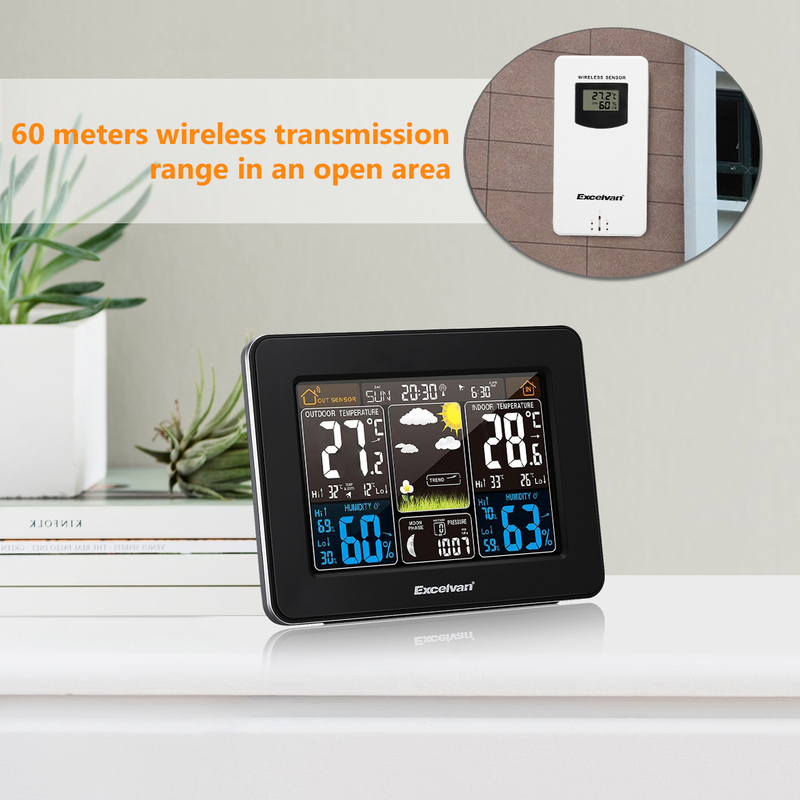 Accurate Sensor: 60 meter wireless transmission range in an open area. 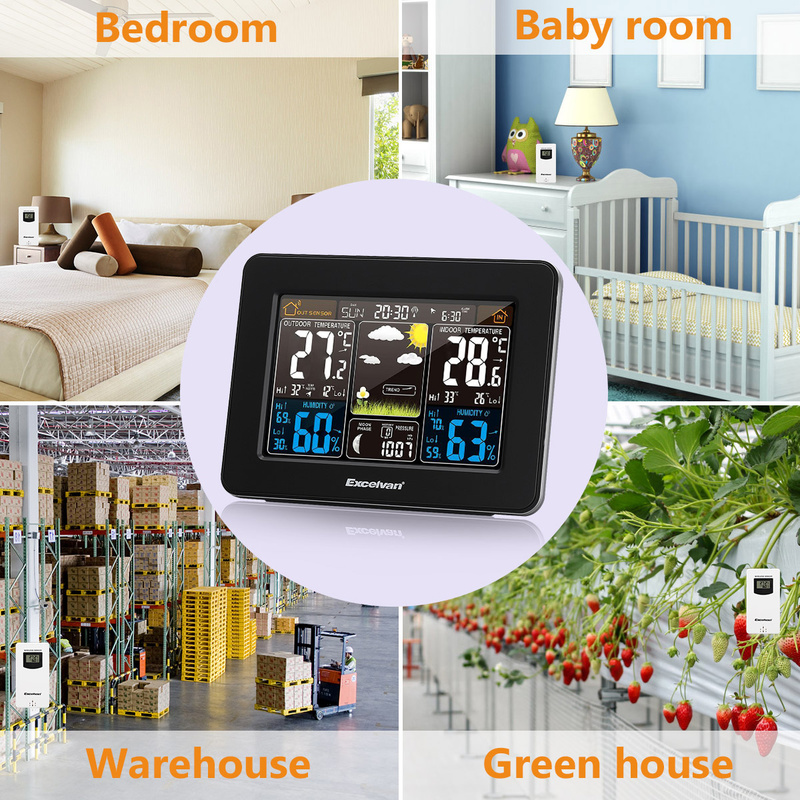 Large Temperature Range: Indoor temperature measurement ranges from 0 °C(32°F) to 50 °C (122°F) and outdoor range from -20°C( -4°F) to 60 °C (140°F), temperature alternative in °F or °C. 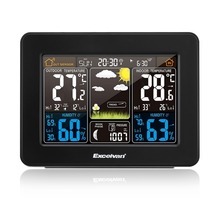 Affluent Display Contents: Display for minimum and maximum humidity and temperature with colorful backlight, the barometric pressure in the past 12 hours recording. 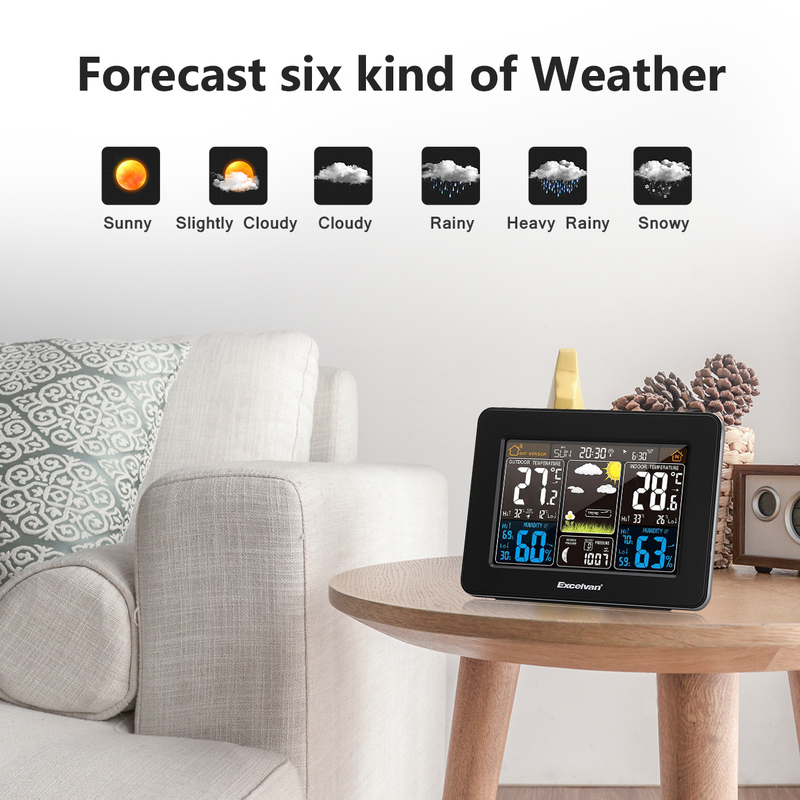 Now if you purchase any products, leave us 5 stars feedback and share it to your social network, such like Facebook, Twitter, VK, Instagram and etc. 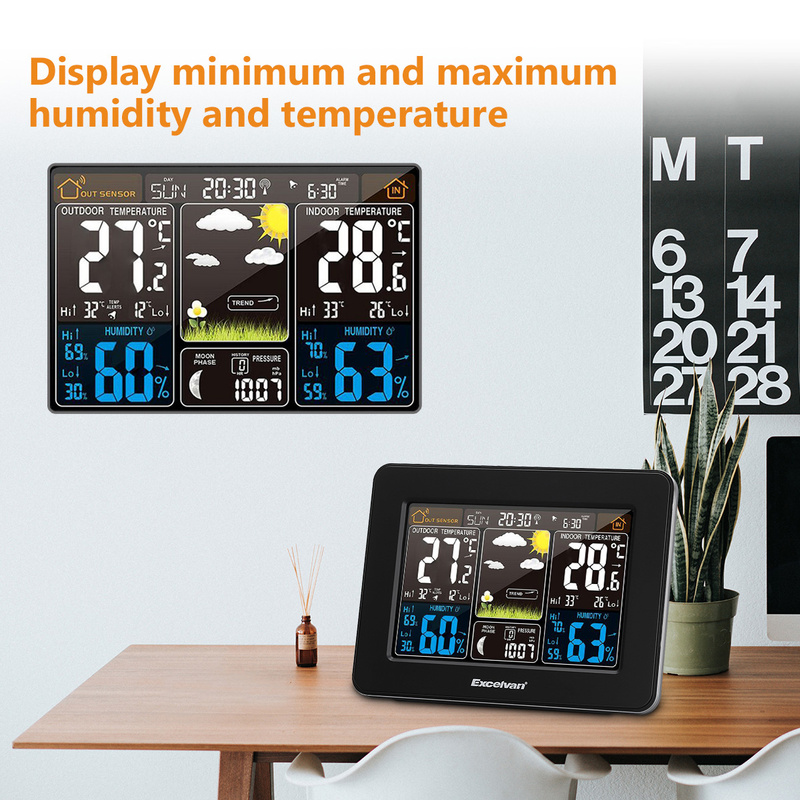 Send the screenshot to us, you will get an extra discount. 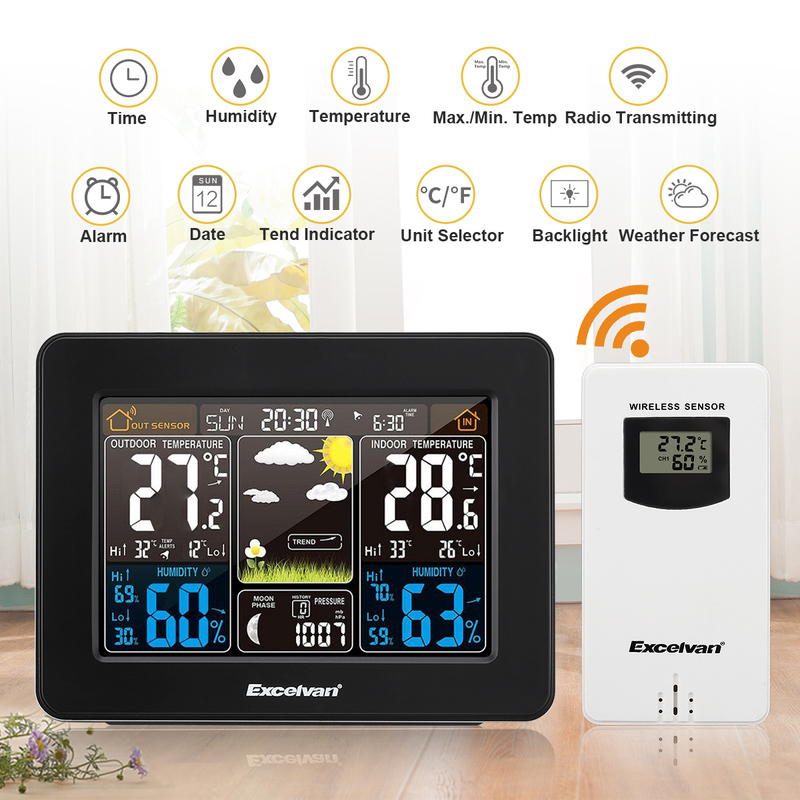 Happy shopping online.